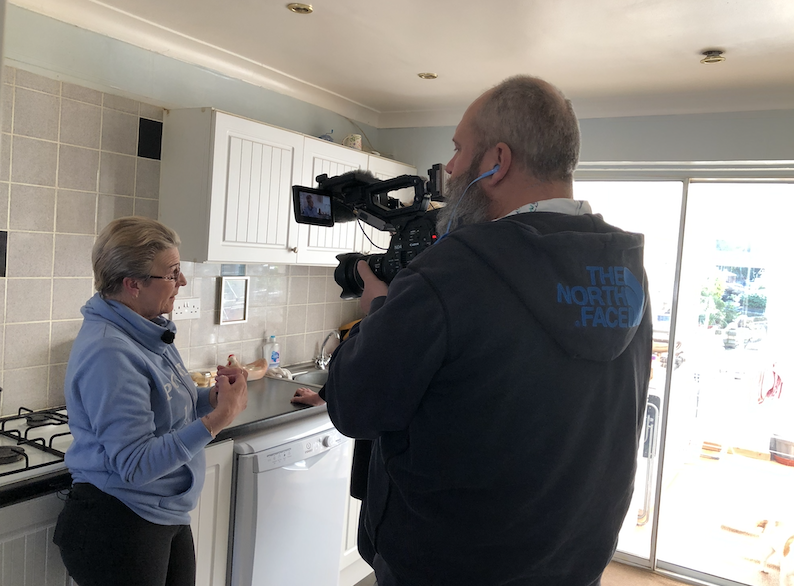 A FILM crew from the Danish Broadcasting Corportation (DB) spent the day (Wednesday) in Harlow to gauge people’s views on Brexit. They came on the day that Theresa May was granted a further extension by the European Union until October 31st. 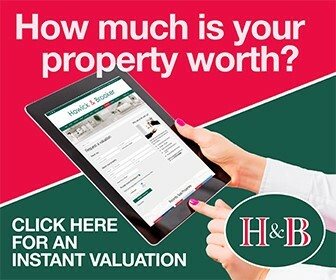 Anna and Torbien had teamed up with YH for a whistlestop tour seeing a cross section of Harlow residents. We began in Potter Street where they spoke to community minded Jane Chivrall, who expressed her exasperation that the United Kingdom had not left the EU yet. We then crossed over to Tanyard Place, overlooking the town park where they discussed matters with Jorn and Veronica Johansson. Jorn is from Denmark and so has lived in Harlow for over thirty years. Both expressed their frustrations. Veronica left them in no uncertain terms as to how she felt and why. We then went across to the Apple Repair store in the Latton Bush Centre. Owner Brendan Mills is a former member of the armed forces and gave them a different perspective on why he voted Leave. 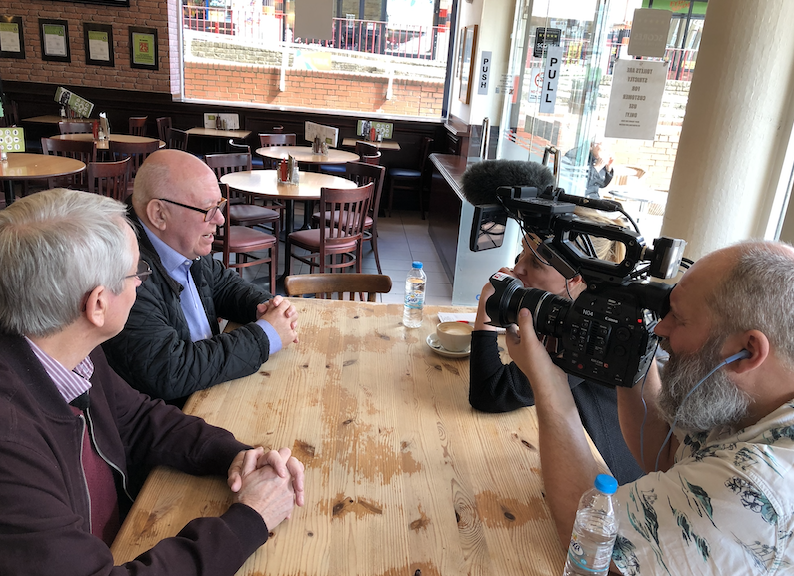 Finally, it was across to Cafe Pizzeria in Bush Fair where they sat down with two members of the Harlow Alliance Party, Nick Taylor and Alan Leverett, who explained why they voted leave and whether there is any connection with setting up a new party. The interviews will be part of a news item for Danish television this week. We will publish a link once it is aired.